I have kept gratitude journals on and off for well over two decades, and several years ago, I introduced the concept of keeping a gratitude to my two daughters. I began the introduction by taking them to a local store and letting them choose a journal of their own, which they excitedly, and painstakingly, did. With journals in hand, I set about explaining the importance of being grateful for the people, places, and things that fill our lives and to look for all the good that life has to offer. It was a concept that, as innocent and loving children, they easily and readily embraced, so, we began to gather together at the end of each day to share at least five thing that we were grateful for. Over the years, we gradually got “too busy” for this practice, but with the new year upon us, the three of us agreed to return this beloved practice as part of our commitment to kindness. There is nothing like retreating to our respective rooms to write in our gratitude journals, then sitting on one of our beds to share what we wrote with one another. I always enjoy hearing what my daughters give thanks for, and some of the people and things that make frequent appearances in their gratitude journals include family, friends, my parents’ cat, books, music, etc.. In turn, they are interested in what makes my list, which sometimes mirrors their own. This simple and sweet practice does not take much time at all, yet its effect lingers. 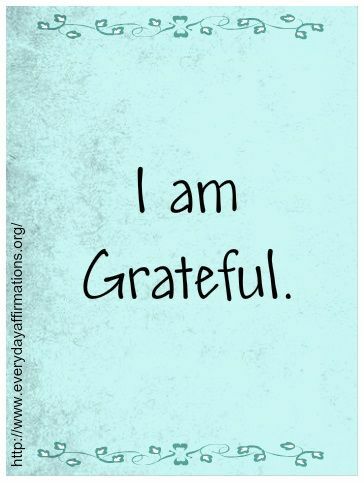 We all have commented how this helps us to look for the positive in people and in situations throughout the day, and more times than not, we have far more than five things to be grateful for each day. So far, this has been one of my favorite resolutions to keep! I have kept a gratitude journal on and off for years. Difficult times make it even more important to be grateful for the little things in life. Thank you for inspiring me to get started doing it again. Sheila, I agree, and I am so glad to know that you will joining us in this practice! Keep being grateful and giving a damn, as the world needs both! Naomi, that is truly beautiful, and I appreciate the blessings ans extend them to you and yours, as well. Great idea. Thanks for sharing. Your daughters will own it with their own journals. A wonderful habit. Being grateful is like permanently receiving! Kristi, this post brings back some fantastic memories. My first husband and I were “Marriage Encountered.” We went away on a retreat for married couples, and were shown a way of communicating deeply about our feelings with one another. It was called our “Daily Dialogue.” We would decide on a question to write about in our books, which would reveal to each other our thought and feelings. Only 10 minutes were allowed for discussion after exchanging books, and reading each other’s response. It was a communication method we used for years. It gave our relationship a deeper meaning and brought us closer than we would have been without it. Communication is the strongest tool in any relationship. Thank your for sharing such a lovely story of this special and beautiful practice! I agree wholeheartedly that communication is so vital to have a strong, meaningful relationship. Glad that this brought back such warm memories, and I am even happier that you shared them here. A few years ago I started keeping my gratitude journal in the form of an altered art journal. Then I started blogging about it. It has rejuvenated my gratitude journal practice. This year my intention is to not only record what I’m grateful for but to work at communicating that gratitude back to the people for whom I am grateful. I have already had some pleasant responses because of these interactions. Lovely post. Thank you sharing this, as that is such a wonderful practice. Saying ‘thank you’ is one of the kindest acts there is! What a wonderful idea, and I hope that it works to create something meaningful for you!